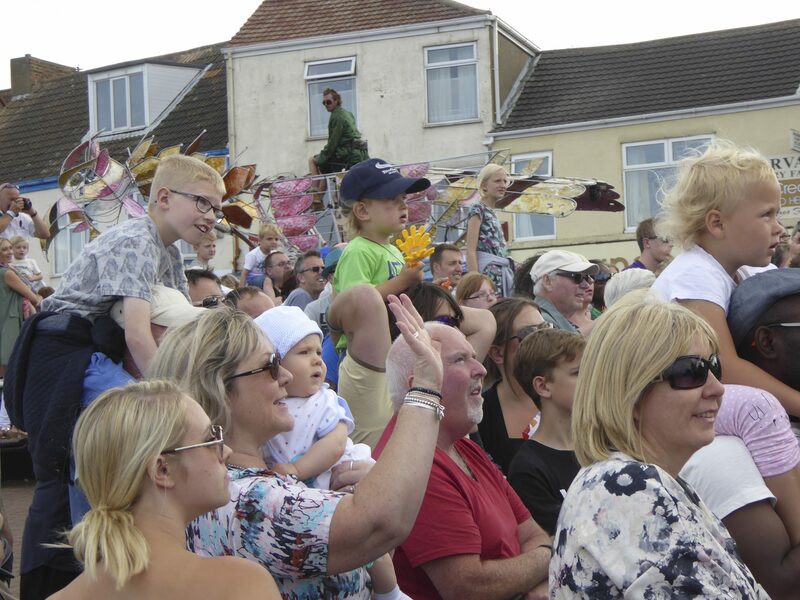 We were approached by the new sponsors Youngs Seafoods to provide exciting innovative entertainment to mix with the community floats and wow the crowds of Cleethorpes at the yearly carnival. 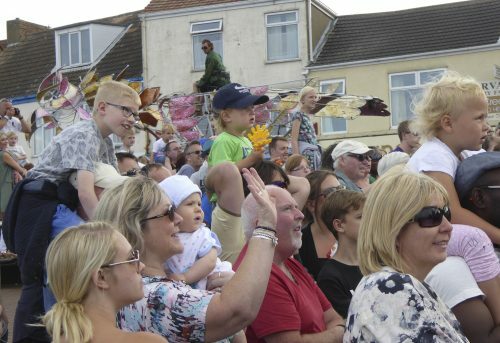 We worked with Young’s Seafoods throughout the time they sponsored the festival to provide exciting parade entertainment. 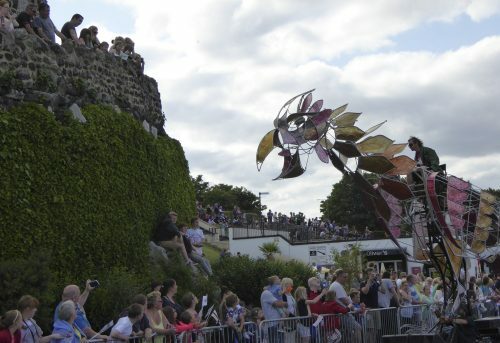 The route is 3 miles so only certain acts can stay a course like this and it was important to pick the right acts to suit the crowd who could also manage the logistics of the route. 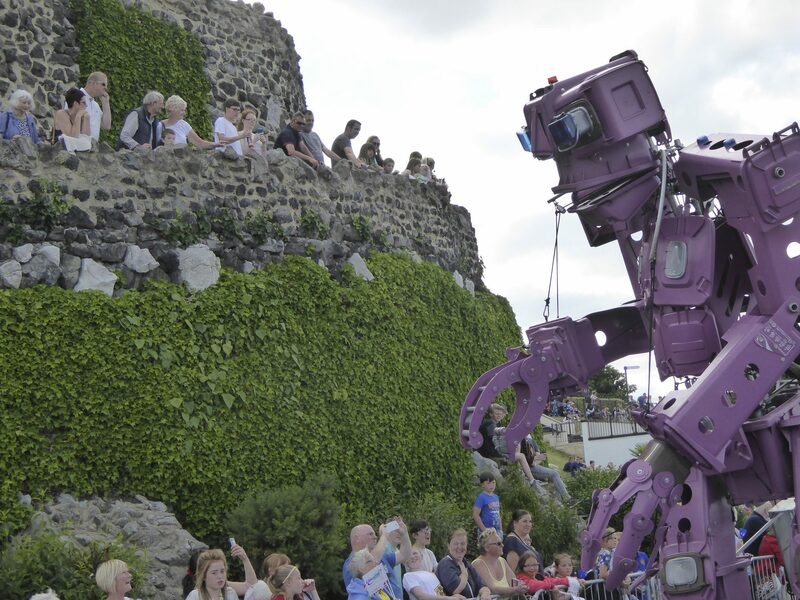 In 2015 we brought giant recyclable robot Binbot to the festival along with Firebird. 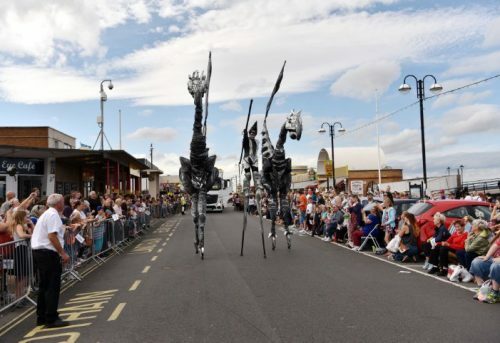 The people of Cleethorpes were blown away by these enormous creations and absolutely loved them We also provided our Grannie Turismo act, grannies on electronic shopping trolleys blaring out pop music and granny chatter! 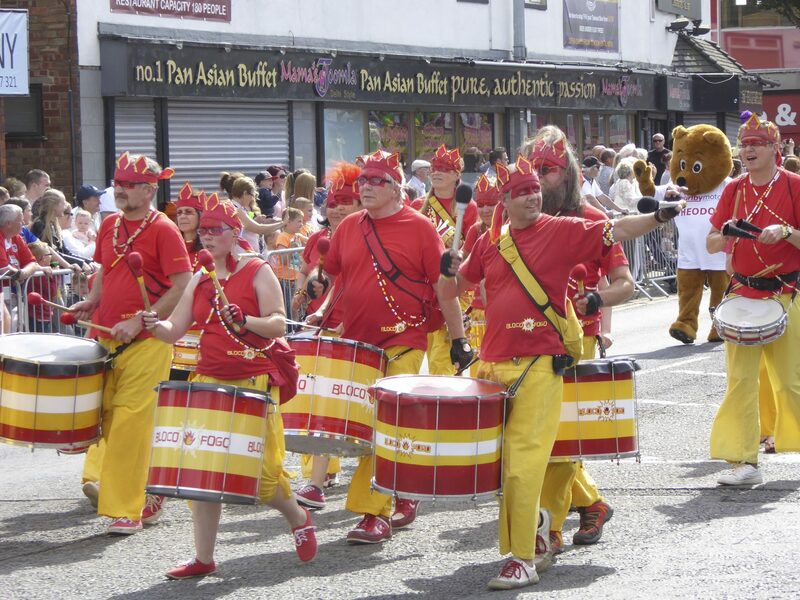 Further a 20 piece brightly coloured carnival drumming band to process along the route. We liaised closely with the client about the route & the logistics of each act. 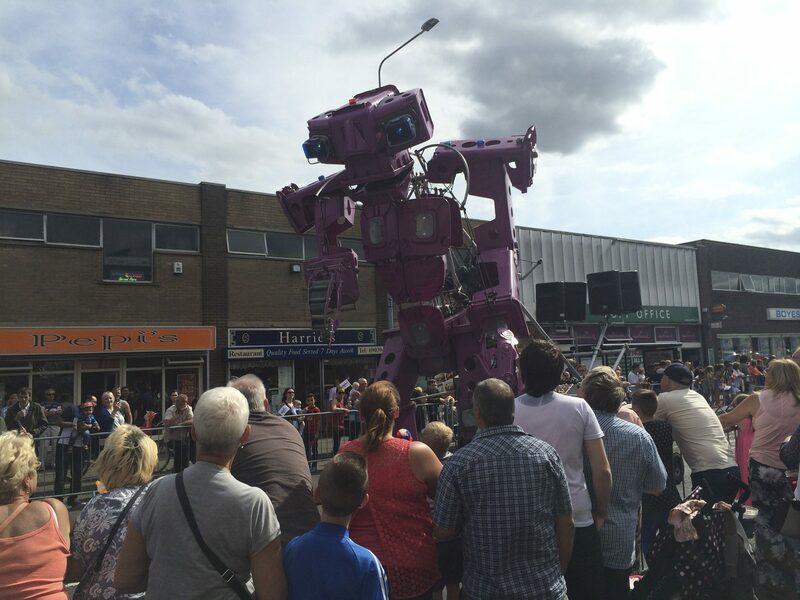 We also liaised with the local papers to provide suitable press promo ahead of the event. 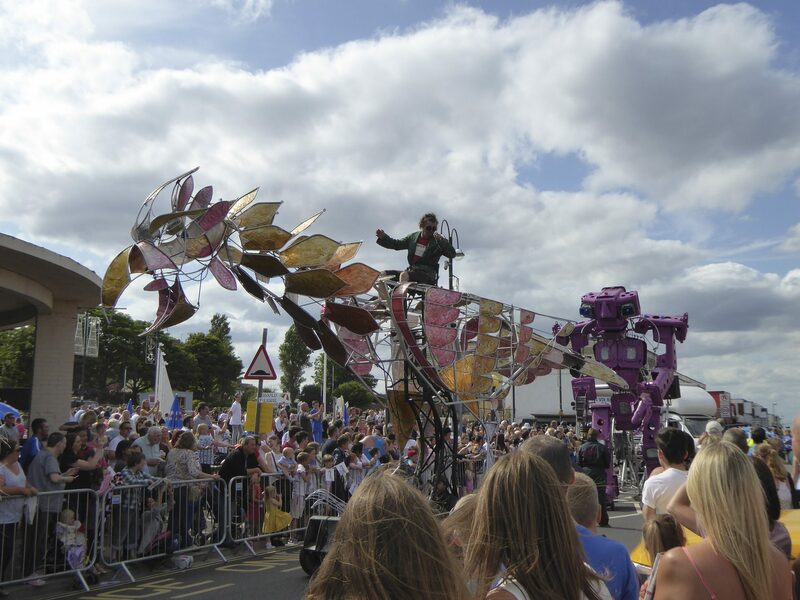 In 2016 we went a step further with enormous dinosaur puppets – THE SAURUS, along with a giant Dress featuring acrobats and dancers stepping out to entertain the route. Each year Joogleberry went a step further in creating a massive wow factor for the client and all the people of Grimsby. We would love to do it again and go bigger and better still but Young’s Seafood was sponsoring the event for a three year period and that time has now sadly come to an end. 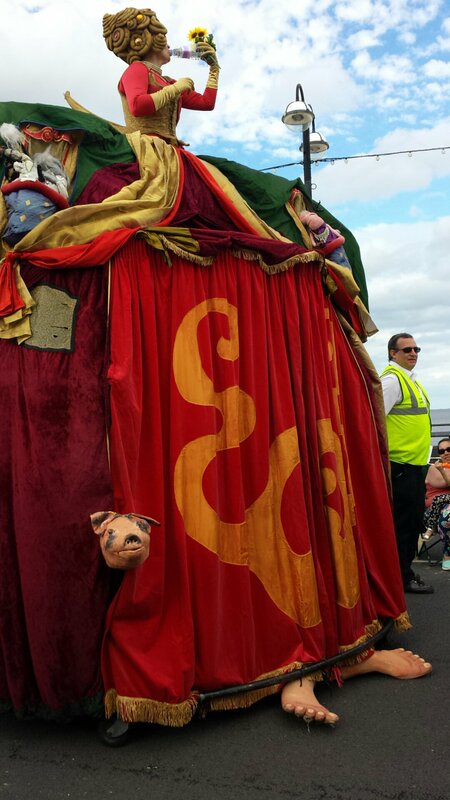 We are proud to have been able to work with Youngs to provide 3 stunning years of Carnival Success. 2014 “Can I say your acts went down a storm!! Your acts where simply fab!!”. 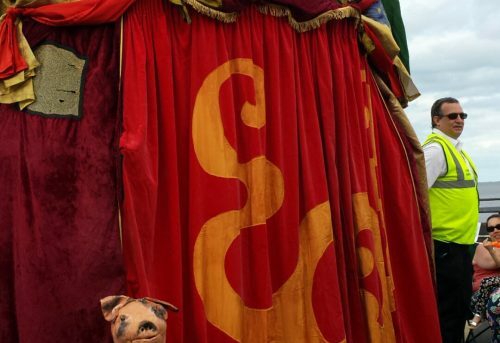 “Everyone was really impressed, Saurus was the best act they’ve had there so far! The crowd loved them”. 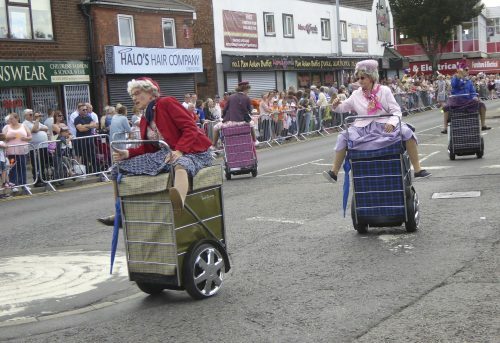 “The 2014 Carnival cemented the event’s reputation as somewhere to find incredible, whacky and original entertainment when it welcomed Granny Turismo, the world’s first – and only – Shopping Trolley Dance Display Team. 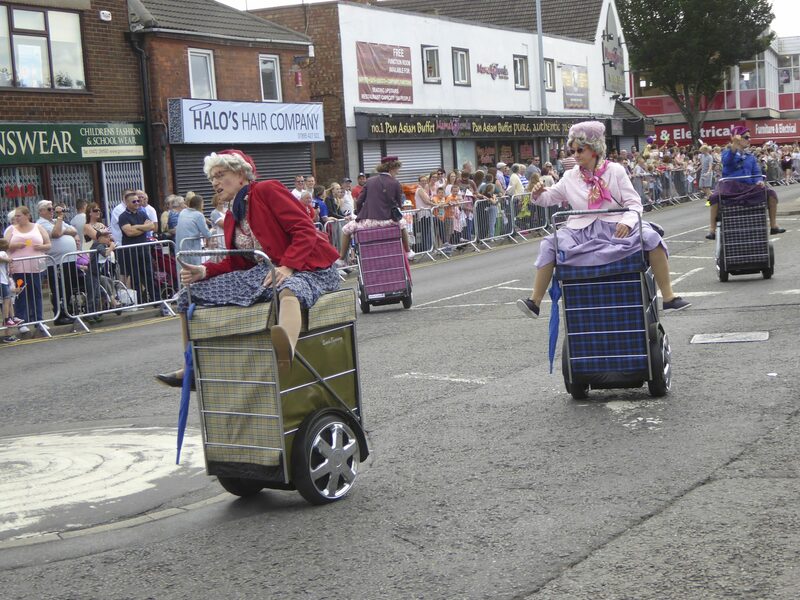 The acrobatic Grannies were so popular the Carnival bought them back for 2015 as well”.